The University of Alabama, Housing and Residential Communities (HRC), seeks a Coord Residence Life (Student Conduct Coordinator) – 503711. 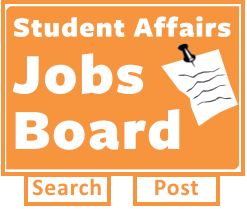 Visit staff employment opportunities at http://jobs.ua.edu for more information and to apply. Application deadline 08/09/2017. The University of Alabama is an equal-opportunity employer (EOE), including an EOE of protected vets and individuals with disabilities. Job Categories: Residence Life and Housing. Job Types: Full-Time.